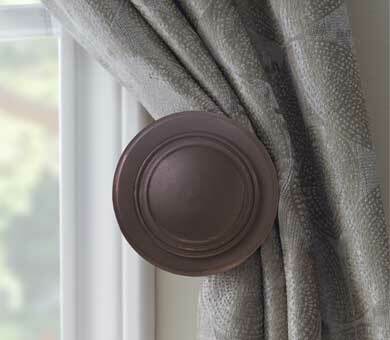 Our design team has met with drapery hardware fabricators from around the world and hand picked the home fashion industry’s finest collection of designer window fashion hardware. 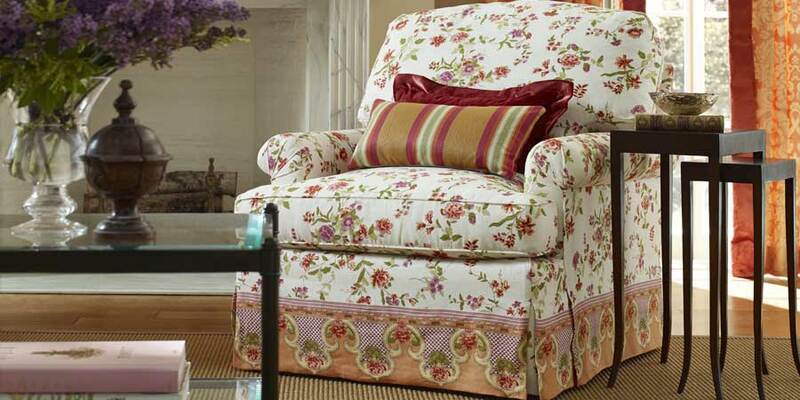 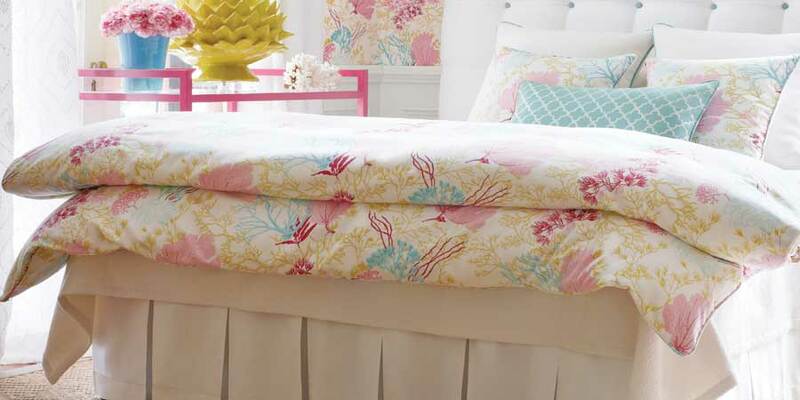 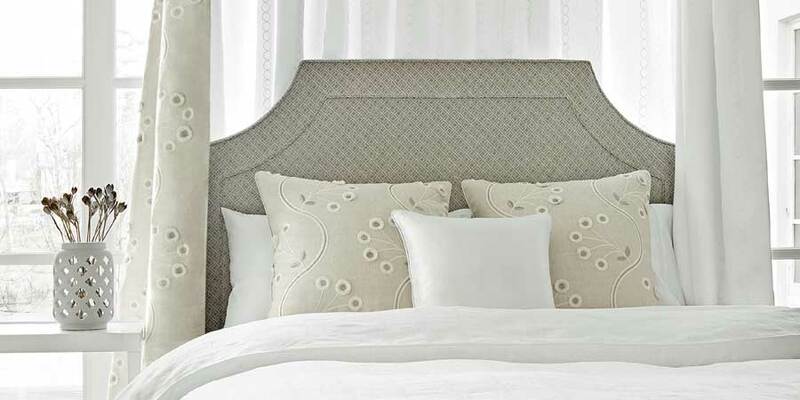 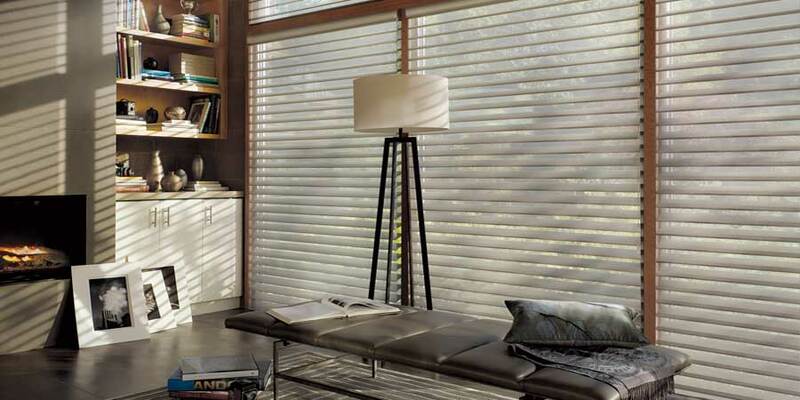 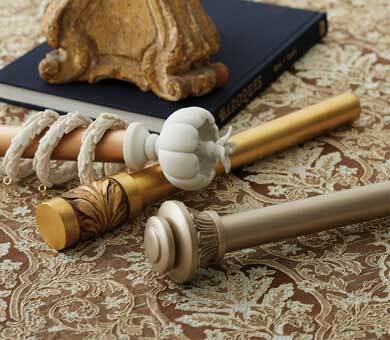 The breadth of style options and premier quality of the materials infuses our draperies with unsurpassed beauty. 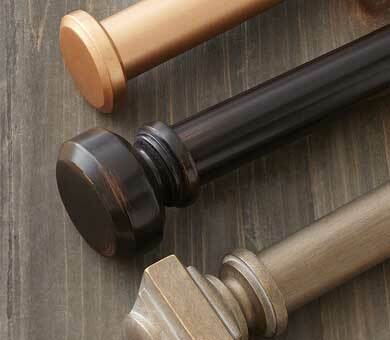 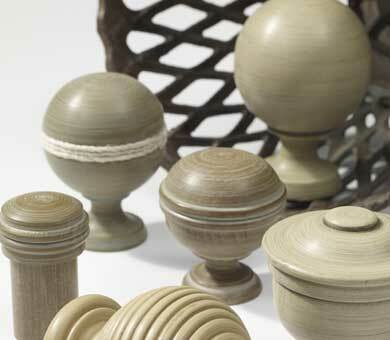 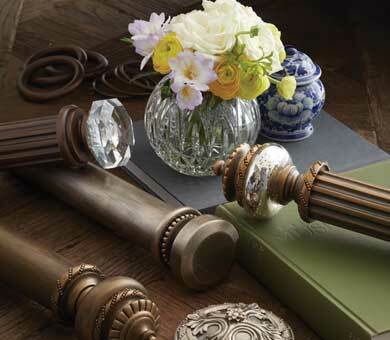 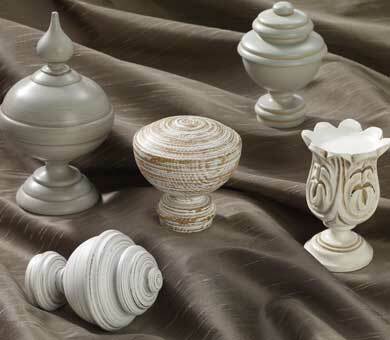 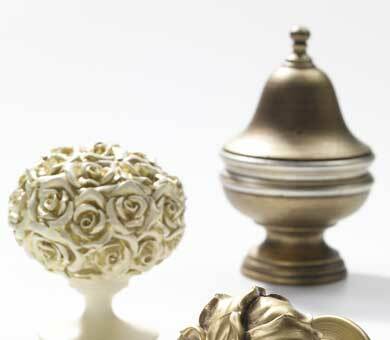 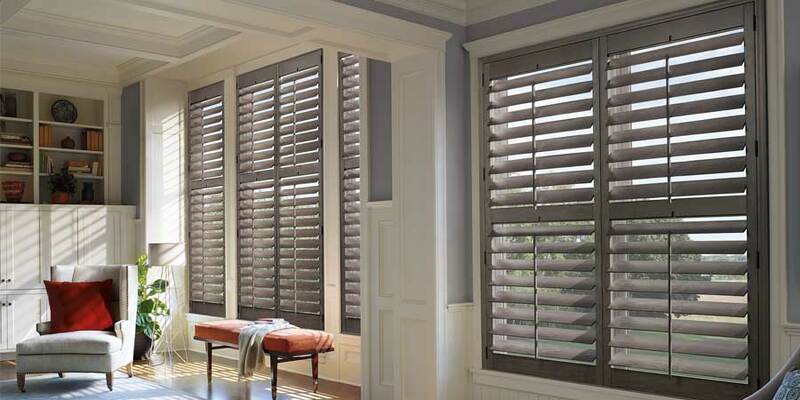 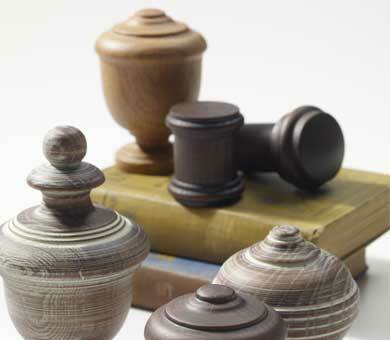 Wood drapery hardware evokes elegance and compliments traditional environments best. 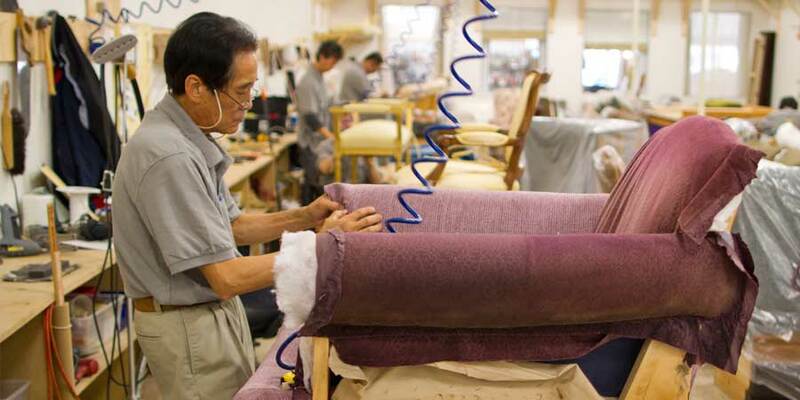 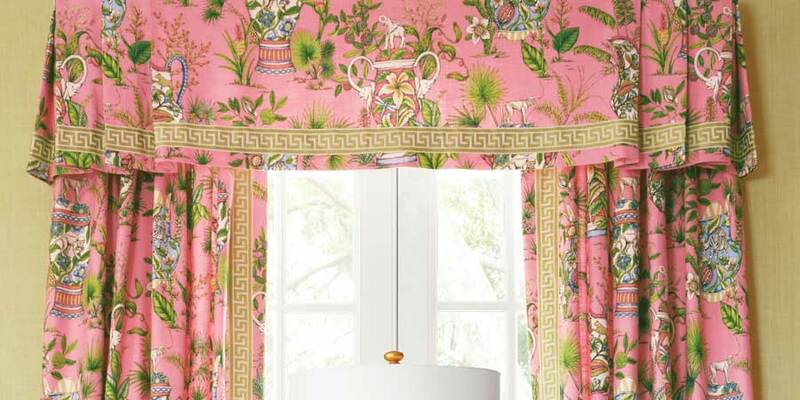 Our interior designers will guide you through the lustrous paints and stains and other design options to help create draperies that look gorgeous and last a lifetime. 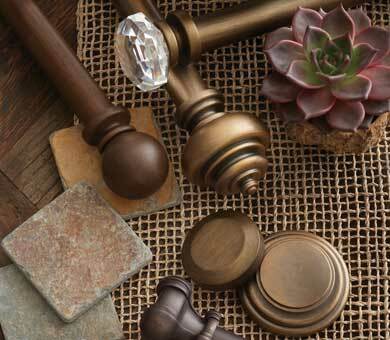 Metals are available in a variety of the finest materials including stainless steel, polished nickel, antique brass, rough iron, gold plated & more! 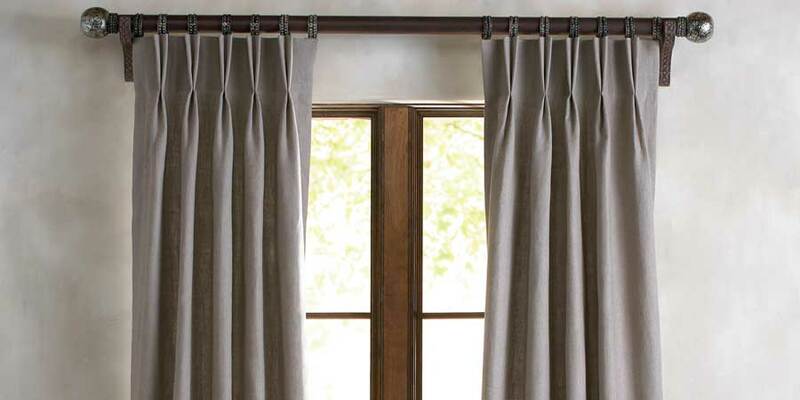 Our expert team of installation technicians will precisely measure your windows and securely install all drapery hardware. 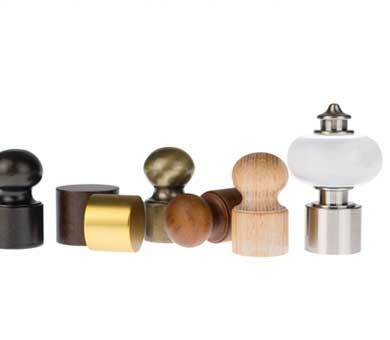 Our Decorative Hardware is made from a variety of materials such as wood, metal and acrylic which all feature distinctively decadent designs. 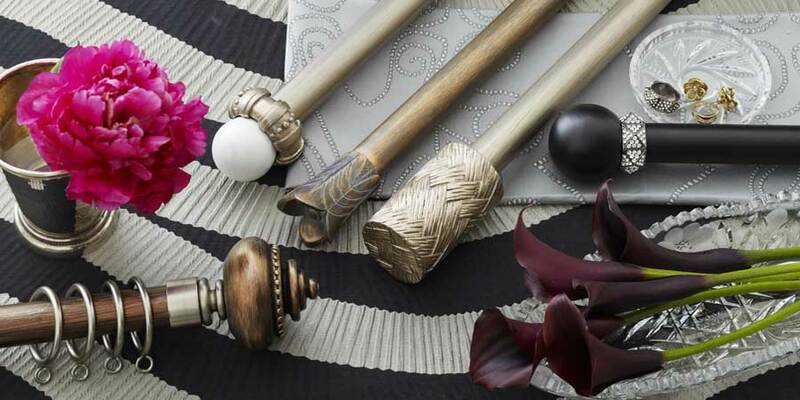 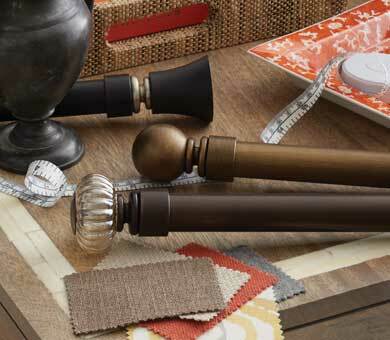 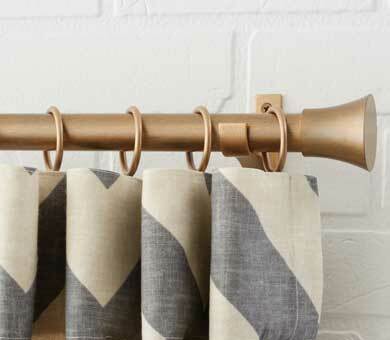 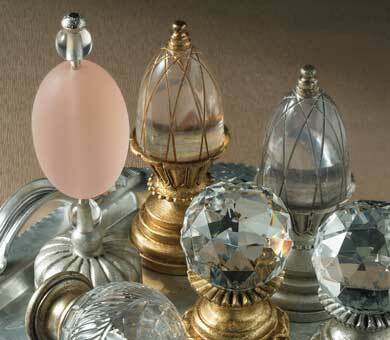 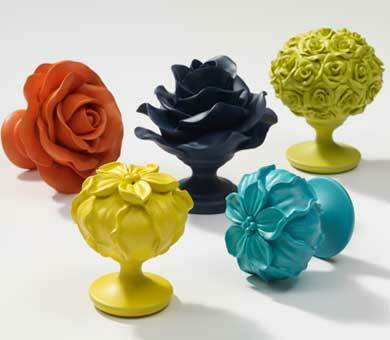 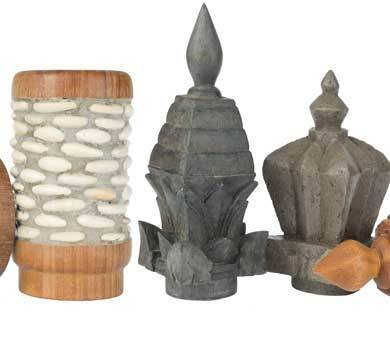 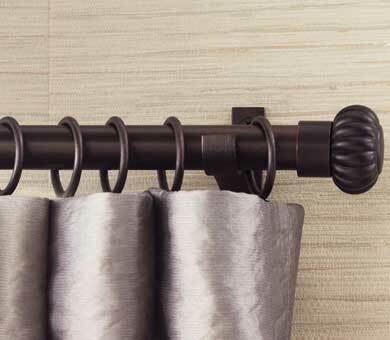 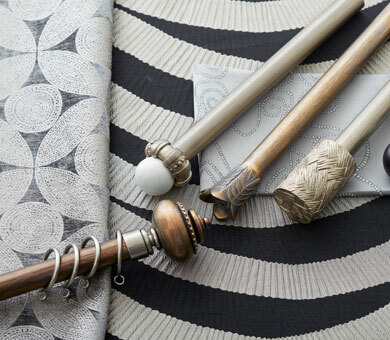 The hardware options are bold and exciting to draw attention to the hardware and drapery. 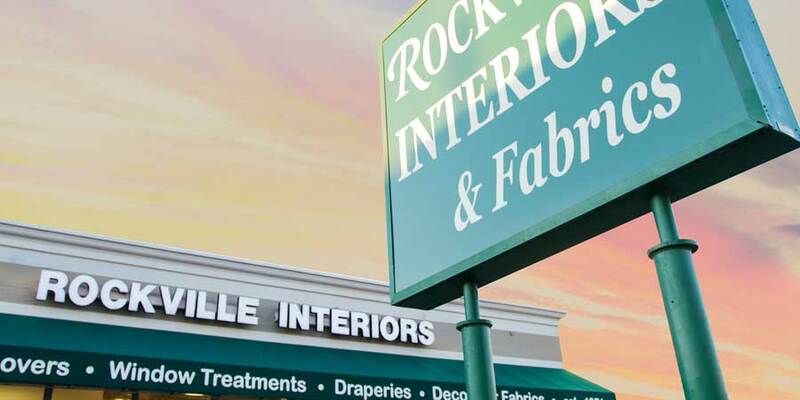 To help you experience these solutions, our gorgeous new Rockville showroom has large scale operable demos of draperies featuring Decorative Hardware. 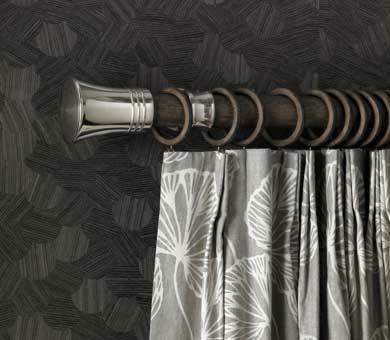 A favorite amongst interior designers, novelty hardware combines bold elements from home fashion with classic drapery hardware. 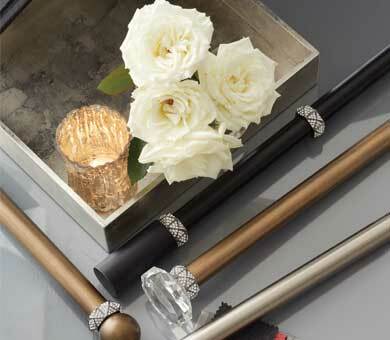 Rods are infused with Swarovski Crystals, finals are wrapped in premium leathers and rings feature handcrafted appliques. 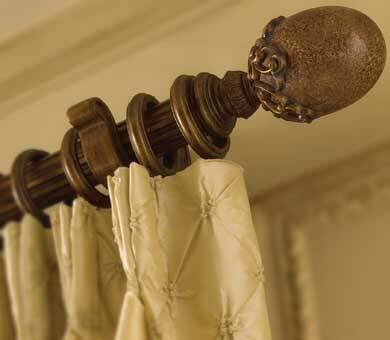 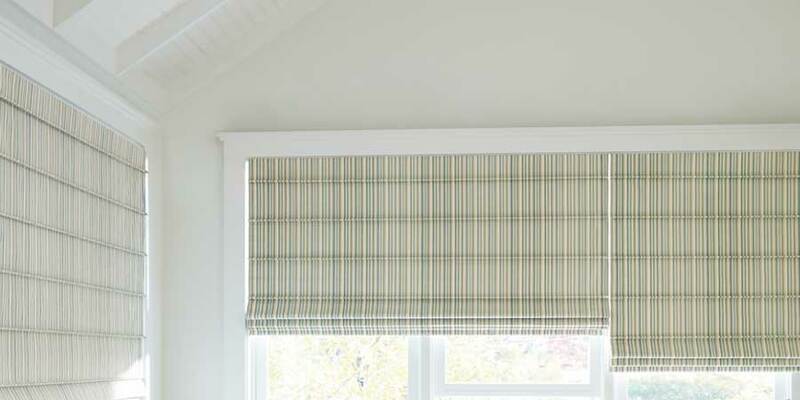 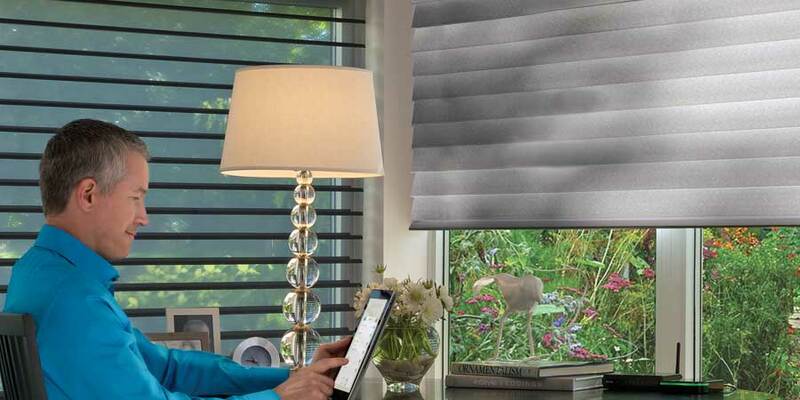 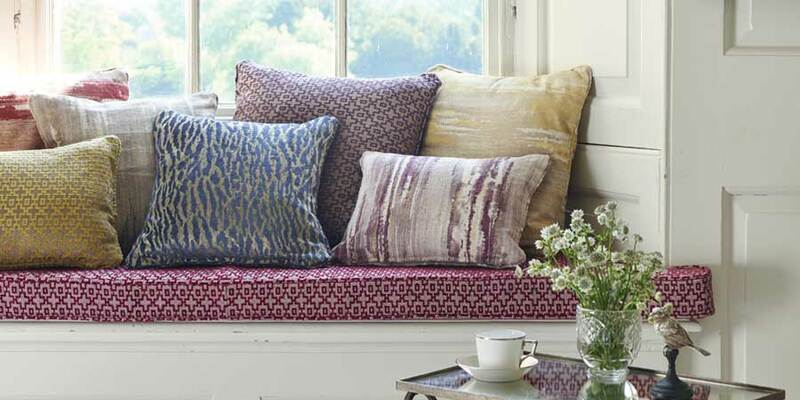 These fashion-forward solutions offer unrivalled style to compliment truly custom, one-of-a-kind draperies.